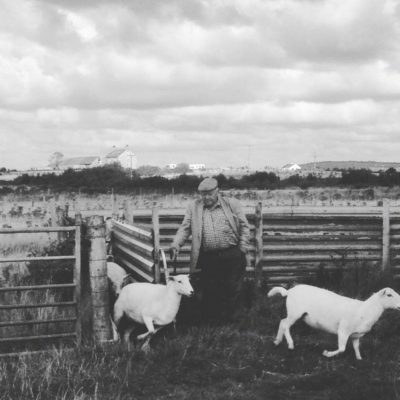 Anglesey farmer Iolo Owen developed The Easy Care Breed in the early 1960s by using predominantly Wiltshire Horns crossed with other breeds, notably the Nelson type of Welsh Mountain sheep. The Easy Care Sheep Society aims to keep up with ever changing needs and to avoid being a “dyed in the wool” narrow minded Society stifled in tradition. The Wiltshire Horn breed is one of the oldest breeds in England and is a large sheep: 85 Kg adult female, rams 150Kg. They were run in very large flocks on the Downs of South Central England for many centuries but when the price of wool became attractive the purely meat Wiltshire sheep lost favour. It is a hair type short fleece sheep and like other primitive breeds of sheep it sheds in the spring as a goat or a horse loses its winter coat. This means that the Wiltshires do not need shearing and have very little fly related problems such as maggoting. On these qualities Iolo Owen based the development of the Easy Care breed: crossing with other breeds gave the new breed more hardiness and got rid of the horns which occur in both sexes of Wiltshires. Also the Easy Care were smaller (about 60Kg) hence cheaper to keep. The great cull of the 2001 Foot and Mouth outbreak set the breeding programme back but despite that a Society of Breeders was formed in 2003 and the popularity of the breed has increased enormously. 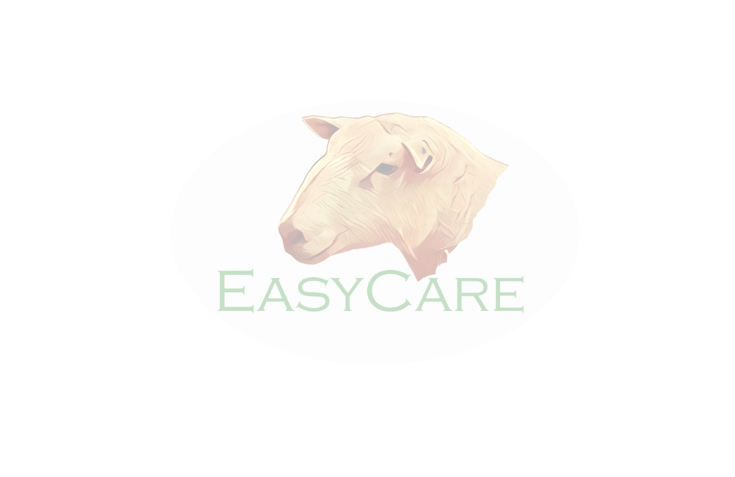 As time progressed some members have introduced other genes to the breed and the present Easy Care is a composite, non-shearing breed aiming at low cost, easy lambing and quick growth for the meat-only sheep farmer. Selection is made purely on performance rather than breed characteristics. 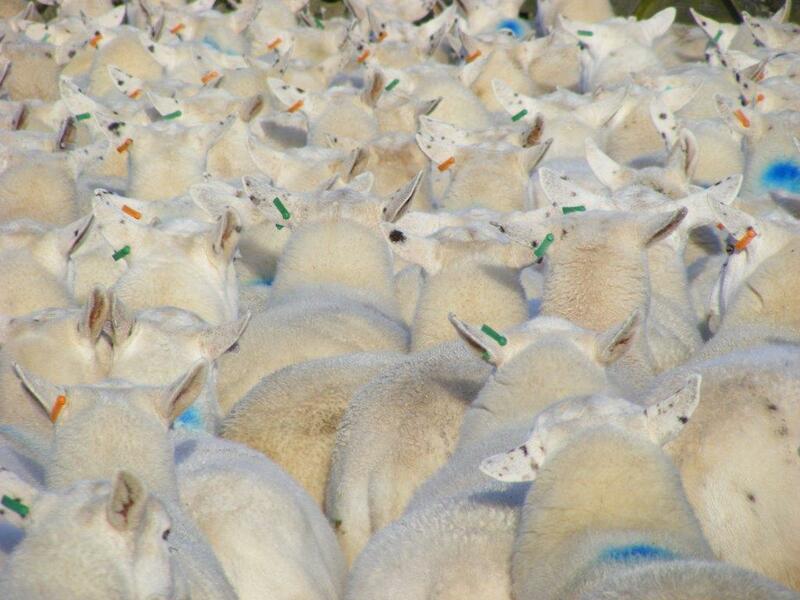 With this in mind breeders are encouraged to individually record their flock, although this is not compulsory. However, competitive showing is not encouraged as this tends to emphasise extraneous points such as colour, or shape of ears etc which are totally irrelevant to the important things such as ease of lambing, mothering ability and growth rates. The first Easy Care Sheep Society sale was held in Worcester in 2009 and there have been exports to Germany, Holland, Belgium and France. The Society intends to continue to be up to date and progressive, developing the Easy Care as a composite breed to cater for modern needs.